Red Velvet's�Irene�is the top girl group member in terms of brand value for April. According to the Korea Institute of Corporate Reputation, Irene was at the top of the April data, followed by TWICE's�Nayeon�and Momo.�126,561,957 pieces of data were examined from March 13th to April 14th. Irene had a total of 6,250,052, while Nayeon had 4,374,013 and Momo had 3,645,044. 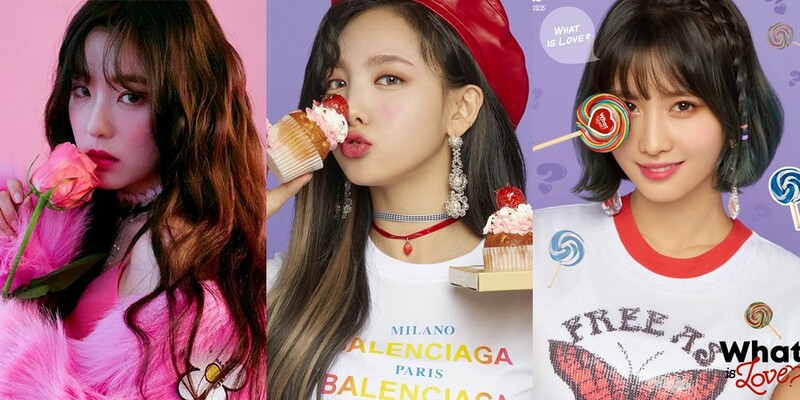 The rest of the girls ranked were, in order, Mina�(TWICE), Joy�(Red Velvet), Sana (TWICE), Jungyeon�(TWICE), Seohyun�(Girls' Generation), Yeonwoo�(Momoland), Tzuyu�(TWICE), Seulgi�(Red Velvet), Jihyo�(TWICE), Dahyun�(TWICE), Hani�(EXID), Chaeyoung�(TWICE), Yeri�(Red Velvet), Wendy�(Red Velvet), YoonA�(Girls' Generation), Namjoo�(A Pink), Nancy�(Momoland), JooE�(Momoland), Solar�(MAMAMOO), Arin�(Oh My Girl), Whee In�(MAMAMOO), Taeyeon�(Girls' Generation), Hyojung�(Oh My Girl), Binnie�(Oh My Girl), LE (EXID), Na-Eun�(A Pink), and Junghwa�(EXID).